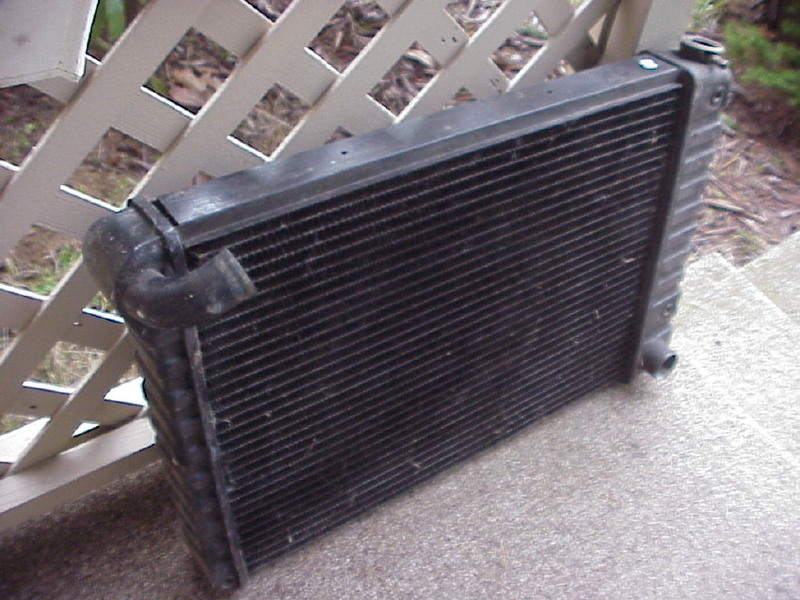 336 Heres a look at my original radiator. On Feb 5, 09 I went to my mothers house and brought it out of the dungeon. It was re-cored once in 1975 or so. It needs another core. I removed it for an aluminum radiator back in the early '80's. Then yesterday looked at it again. Stunning. The curved neck is for A/C cars or ZL1's. (with 4 rows) I'm seriously working on retrofitting it. It's heavier, but not that heavy!